Get your baby ready for the Easter season. 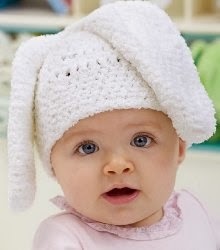 Crochet an adorable hat that is so soft like a bunny's little tail. This hat is made with bunny ears that makes your baby look adorable.